Considering the fast development of cryptocurrency in the past few years, many investors have been attracted to such domain, including in Seychelles. The smart technology is also part of the business environment in Seychelles and it represents a significant part of the overall innovative sector which continues to flourish in the insular state. Foreign entrepreneurs who want to set up a cryptocurrency company in Seychelles can ask for support and information from our team of company formation agents in Seychelles. The boom of cryptocurrencies registered in the financial sector in recent years stands at the base of forming numerous companies with digital money activities. Forming such company is subject to several documents which must comprise details about the owners, the business address and the share capital involved. 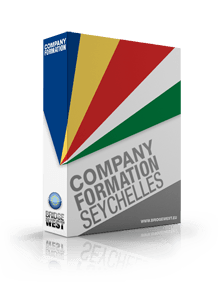 If you want details about how to set up an offshore in Seychelles, please do not hesitate to talk to our specialists in company incorporation in Seychelles. The Bitcoin/Cryptocurrency Exchange License has been recently added to the necessary documents for opening such business in the financial sector. Even though it is new, there are chances to form a cryptocurrency business in Seychelles with this type of license. Most offshore financial centers worldwide are subject to their own licensing, but they may represent the starting point for other offshore jurisdictions, including Seychelles. For a better understanding of how a cryptocurrency company can be set up in Seychelles, please feel free to contact our team of company formation agents in Seychelles.